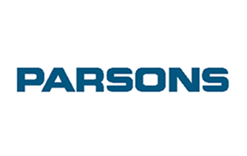 Founded in 1944, Parsons, an engineering, construction, technical, and management services firm with revenues of $3.2 billion in 2015, is 100% owned by the Employee Stock Ownership Trust. Parsons is a leader in many diversified markets with a focus on infrastructure, industrial, federal, and construction. We conquer the toughest logistical challenges and deliver design/design-build, program/construction management, and other professional services packaged in innovative alternative delivery methods to federal, regional, and local government agencies, as well as to private industrial customers worldwide.